Figuring out what to do in Ho Chi Minh City when you have limited time can be frustrating -- there are a lot of choices! Ho Chi Minh City is Vietnam’s largest city and cultural hub. Still known to many as Saigon, HCMC is a bustling urban sprawl of busy roundabouts and interesting sights. Use this list of things to do in Ho Chi Minh City to avoid missing any must-see sights during your exciting visit to Vietnam! Traveling north through Vietnam? Read more about the options for traveling from Saigon to Hanoi. 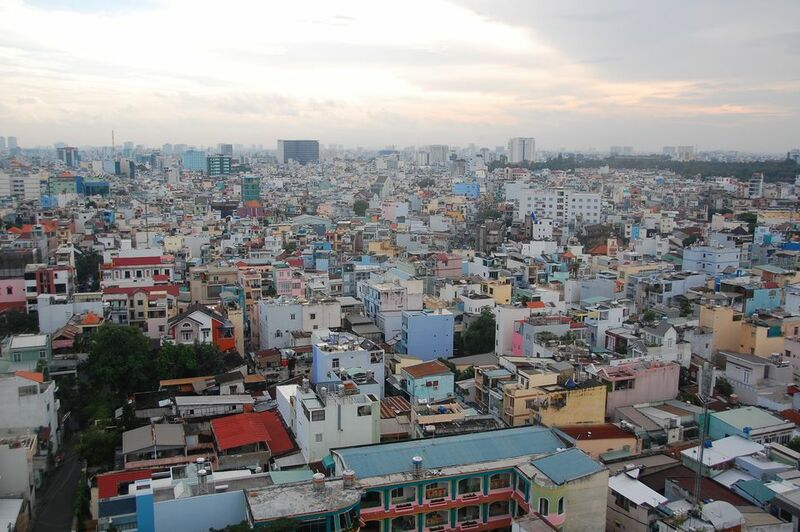 First, find out which is correct to say: Saigon or Ho Chi Minh City? The tradition of water puppetry dates back to the 11th century in Vietnam, and catching a show should be high on your list for things to do in Ho Chi Minh City. Although water puppet shows attract plenty of tourists, the most authentic performances are still performed exclusively in Vietnamese. Musicians sat on each side of the stage provide the soundtrack with traditional instruments as well as the voices of the puppets. The puppets themselves, some of which are large and heavy, enact scenes from village life -- all on top of a pool of water. How the puppets are controlled is a closely guarded secret -- go watch a performance and see if you can figure it out! The most popular venue for water puppet shows in Ho Chi Minh City is the Golden Dragon Water Puppet Theatre located at 55B Nguyen Thi Minh Khai, just east of Tao Dan Park in District 1. Read more about seeing a traditional water puppet performance in Ho Chi Minh City. The Reunification Palace, previously known as Independence Palace, is the place that the Vietnam War ended. On the morning of April 30, 1975, a North Vietnamese tank crashed through the palace wall as evacuation efforts were still underway. The Reunification Palace was used as the command center for General Nguyen Van Thieu; strategic maps and war-related objects are still on display. Visitors can tour the building and grounds which include highlights such as the presidential office and a command bunker in the basement. Read more about visiting the Reunification Palace in Ho Chi Minh City. Although very touristy, the Ben Thanh Market is still a must-see in Ho Chi Minh City. The cramped market is a labyrinth of stalls selling everything from trinkets to pigs’ feet. Whether you’re after souvenirs, great travel photo opportunities, or just want to take a whirl in one of Asia’s most hectic markets, the Ben Thanh Market is a full-on sensory experience! You’ll need to drive a hard bargain to land a fair price. Insider Tip: Much of the civet coffee available for sale -- expensive coffee famously ‘processed' by weasels -- is fake. Like many of the museums in Ho Chi Minh City, the War Remnants Museum is plagued with plenty of one-sided propaganda. In fact, the museum was once known as the “Museum of American War Crimes.” Regardless, the exhibits of unexploded ordinance, artifacts, and photography depict the horrors of war that many Vietnamese have lived with for decades. You’ll find the War Remnants Museum in District 3 at the intersection of Le Quoy Don and Vo Van Tan. Read more about visiting the War Remnants Museum. Constructed between 1863 and 1880, the Notre Dame Cathedral in Saigon was built by French colonists. Thousands of people gathered there to pray for peace during the wars in Vietnam. The statue of the Virgin Mary just outside purportedly shed tears in 2005, clogging the streets with people hoping to see the miracle. Find the Nortre Dame Cathedral on Pasteur Street just east of the Reunification Palace. Strangest of the markets in Ho Chi Minh City, the so-called War Market can be a little tricky to find. The market consists of cages in a basement where relics and artifacts dug up from the French and American wars in Vietnam are sold. Plenty of other Chinese-made army surplus is on sale along with uniforms, ribbons, dog tags, and unidentifiable items lost by soldiers or pulled out of helicopter wrecks. Insider’s Tip: A majority of the “authentic Zippo lighters” claimed to have been carried by U.S. Marines are cheap reproductions that were buried to make them look aged. Be on the lookout for plenty of scams! Find the War Market at the intersection of Yersin and Cong Tru Street, south of the Pham Ngu Lao area. The Pham Ngu Lao area in District 1 comes alive at night with scores of budget travelers eating pho, socializing, and enjoying cheap beer at simple sidewalk cafes. Sitting on plastic stools along the busy streets to drink cheap local beer and inhale motorbike exhaust is a rite of passage for all visitors to Ho Chi Minh City. A thin lager can be had for 50 cents or less; watching traffic, people, and even rats scurrying is all part of the experience! The bia hois throughout Vietnam are insanely busy during the big Tet celebration every year. Bui Vien Street is the busiest and most popular for a bia hoi experience.